Inspired by stained glass, this First Holy Communion invitation has a colorful blue background with an abstract design featured on the side. 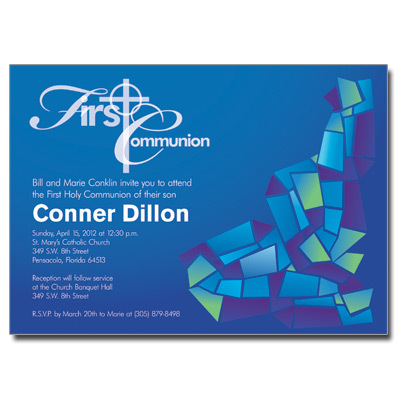 A cross with the words 'First Communion' is featured at the top, with personalized event information printed below in white. Card measures 7x5 inches and includes matching envelopes.